Product Review: Divine Woman Illuminating Day Cream. For those who know me and know me well know that I am always looking for beauty products that give me a bit of glow, I have definitely come a long way from my teenage years where all I wanted was a matte complexion, now I am all about that dewy skin life. Most mornings I like my routine to be pretty quick but at the same time effective, I am a big fan of multi-use products. 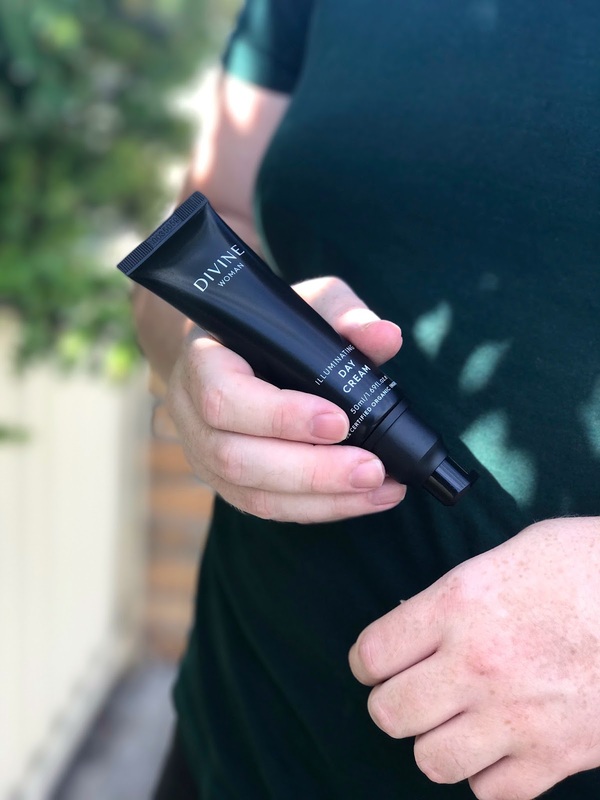 The Illuminating Day Cream from Divine Woman instantly hydrates the skin and leaves it looking dewy, never shiny or greasy it just imparts a lit from within glow on the skin. It contains ingredients like Squalane which works to hydrate, protect and soften the skin, Native Australian Kakadu Plum contains high amounts of Vitamin C which helps to repair any damage that has been caused by environmental stress and is known for neutralising free radicals, I try to get as much Vitamin C into my routine as possible. The cream also contains Vigna Aconitifolia Seed Extract works as a botanical alternative to retinol that helps to reduce the appearance of wrinkles, boost collagen and cellular renewal and Hyaluronic Acid helps to draw and hold moisture into the skin keeping it hydrated and plump. If I am in a rush in the mornings I like to use this as both my moisturiser and my primer, it sits really beautiful on top of serums, oils and sunscreens. I love the glow it gives to my skin and how it keeps it hydrated throughout the day, it also makes my makeup go on a lot smoother which is always a bonus in my books. For information on Divine Woman Click Here. *The product mentioned in this post have been given to me by the brand, As always the review is 100% my honest opinion on the product. Every single product that I mention on the site has been personally tested by me and these are my genuine thoughts on the product.